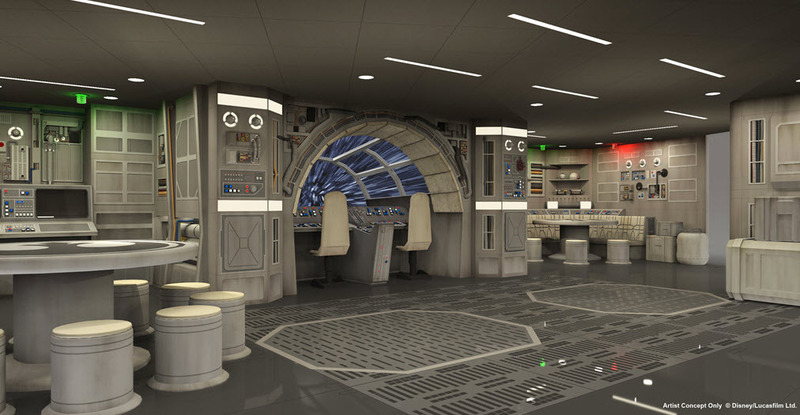 Disney Cruise Line has announced it plans to add a Star Wars play area to its youth areas on-board Disney Dream when she goes into dry dock in October 2015. Two new interactive youth areas are planned for the ship when she goes into the dry dock between 4 October and 24 October in Freeport, Bahamas. The first will be themed to Star Wars and another themed to Disney Infinity. 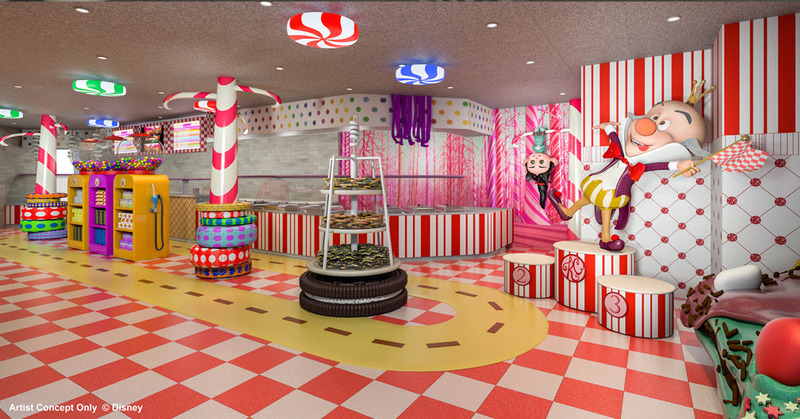 Also a whimsical sweet shop serving handmade gelato and the Bibbidi Bobbidi Boutique will début on the Disney Dream. A newly themed area in Disney’s Oceaneer Club, open to children aged three to 12, will transport children to a faraway galaxy at Star Wars: Millennium Falcon, a play area inspired by the spacecraft from the legendary saga. Upon entering the spaceship, children will join the Rebel Alliance in the epic battle of good versus evil by assisting with the navigation of this powerful space vehicle. Sitting in the cockpit, children can pilot this spaceship through hyperspace and trigger light speed jumps to different locations around the galaxy. Also in the Oceaneer Club, a high-tech interactive space based on the Disney Infinity video game will be installed. In the Disney Infinity Toy Box area, children can experience a whole new way of playing together with exciting virtual experiences and immersive activities. Kids visiting this special room – found only on the Disney Dream – will be able to unlock exclusive Disney Cruise Line content that they can continue to enjoy when playing Disney Infinity at home. On Deck 11 Vanellope’s Sweets & Treats will satisfy the sweet tooth of cruisers of all ages, with handmade gelato and ice cream, an assortment of sweets, and delectable novelty treats for purchase. The décor will resemble the whimsical candy land of the Sugar Rush race car game in Wreck-It Ralph. On Deck 5 Bibbidi Bobbidi Boutique will be a salon will offer aspiring princesses and knights aged three to 12 the chance to transform into royalty with the help of a fairy godmother-in-training. On pirate party night this boutique becomes The Pirates League where pirates of all ages will have the opportunity to unleash their inner buccaneer. Adults have not been forgotten and on Deck 13 will benefit from a new adults-only water feature called Satellite Falls which will be a circular splash pool complete with benches and a gently falling rain curtain. On this deck adult guests can soak up the sun in loungers or relax in the shade under a canopy. The first post-dry dock sailing will be a four night voyage departing Port Canaveral on 26 October calling into Disney’s private island, Castaway Cay. Disney Dream will continue to sail three- and four-night cruises from Port Canaveral to the Bahamas throughout 2015 and into 2016. This announcement follows recent news that Disney Cruise Line were adding Star Wars-themed days on-board selected sailings.